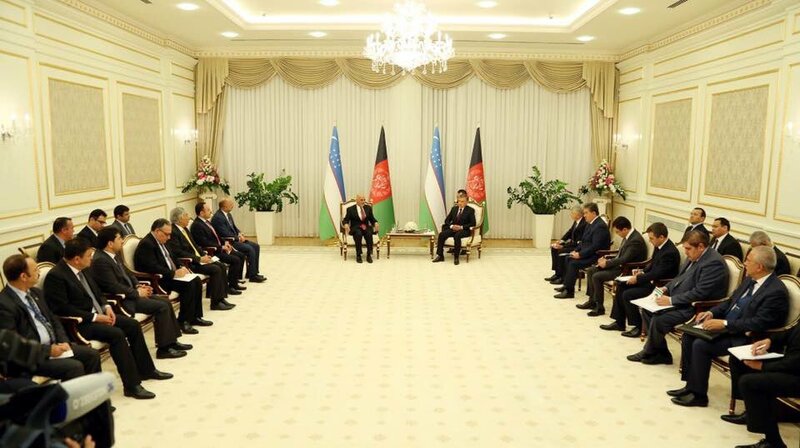 Following the international Tashkent Conference on Afghanistan which was held on 26-27 March 2018, Afghanistan’s Ministry of Finance said Uzbekistan had pledged to provide USD500m to part-fund the construction of a proposed 657 km extension of the Uzbekistan to Mazar-e-Sharif railway onwards to Herat.1 This would connect with the line under construction from Iran to Herat, providing a transit route from Central Asia, and potentially China, to Iran and Europe. The Afghanistan Railway Authority estimates that the new line would cost USD1.8bn, and so the Afghan government is seeking additional funding from other countries. AfRA head Mohammad Yama Shams told Tolo News that talks had begun with Iran and were ongoing with the Asian Infrastructure Investment Bank, while China was also interested in investing in the project. A contractor could be selected in the near future, according to AfRA, and construction would take two years. AfRA estimates that Afghanistan would earn about USD40m a year from the line. The quoted cost works out at USD1.8bn/657 km = 2.73m USD/km. The Hairatan – Mazar-i-Sharif line cost USD170m for 75 km2 or 2.27 USD/km, so the numbers are not dissimilar. We are jointly promoting the implementation of another strategic project – extension of the currently operating Hairaton – Mazar-i-Sharif railway built by Uzbek specialists up to Herat. Iran – Afghanistan railway to be completed in 10 days? Construction work on a segment of railroad project extended from Iran to Afghanistan in western Herat province will be finished in the next 10 days and then put into service, said the Iranian Ambassador [Mohammad Raza Bahrami] on Saturday [=14 October 2017]. Work on the 62-kilomteres long railway project from Iran’s border to Ghoriyan district of Herat was launched in 2007 at a cost of $75 million based on a grant from neighboring country. The project was scheduled to be finished in 2009. Eng. Barzanoni, specialist of the railway project, said of all the 62 kilometres of the railway inside Afghan soil, about 33 kilometers railway was stretched and the rest would be completed in the next 10 days. Officials say the Herat-Khauf 191-long railroad is being constructed in four segments. About 139 kilometer of the project is financed by Iran and the fourth segment cost is provided by the Afghanistan national budget.